She will be playfully inspiring wearing her Missoni Kids™ Sfumata Placed Print Cover-Up. This cover-up shirt is crafted from a lightweight material, woven with a chic print throughout that lends a versatile wear. 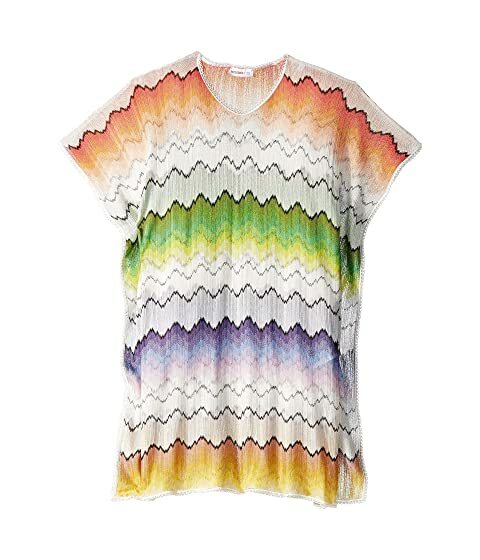 We can't currently find any similar items for the Sfumata Placed Print Cover-Up (Big Kids) by Missoni Kids. Sorry!